At a young age Stephen was hired as a labourer for the New South Wales Railway group. Starting out as a humble, young and hardworking labourer he quickly became skilled and completed further training to become a senior inspector. After 13 years in the industry Stephen aspired to further his knowledge by attending the University of New England where he gained a Bachelor’s Degree in Financial Administration. Upon completion of his degree, Stephen began working in Local Government in 1993 and has gained a wealth of knowledge and experience working in Rural and Remote areas around both NSW and Queensland (QLD). Now Stephen is currently Chief Executive Officer for the Northern Peninsula Area Regional Council (NPARC). Stephen is responsible for all of NPARC’s operations with guided direction from the Mayor and elected Councillors who set the strategic direction for NPARC, as advised by the broader community members. Inside the 25 years of working for Local Government, Stephen has worked in rural and remote areas of QLD and NSW, Stephen considers all councils to be community based regardless of how big they are or where they are located. Danny took up the position of Deputy CEO with NPARC after the amalgamation of the local councils in March 2008. Danny has previously worked with the Umagico Shire Council in 1998, before moving to administrative work with the Injinoo Aboriginal Shire Council in 2000. 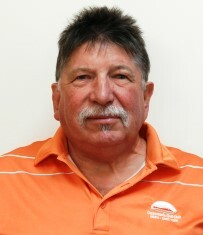 In 2006, Danny filled the position of Freight manager with SeaSwift, at the Seisia depot. He returned to Injinoo in 2007, taking up the position of a Senior Support Officer. His responsibility was overseeing the Injinoo enterprises and all community service programs before filling the role of Acting CEO Injinoo. As Deputy CEO, he now is responsible for supervising the Council Standing Committee, as well as managing Council Meeting Documents. Commencing in 2013, Danny is also the Executive Manager of Community Services. Danny headed straight into the workforce after graduating year 12 from the local Bamaga High School and made his career by climbing the corporate ladder. He commenced working with the Department of Aboriginal and Islander Affairs in 1978 and has over 18 years experience in State Government, working as a public servant officer. Graeme commenced with Council in August 2016 following an Accounting and Management career in various organisations and business sectors and including local governments in Tasmania, Victoria and New South Wales. He has a particular interest in integrated Financial & Asset Management/Job Costing systems and the design and implementation thereof. Working with some of the recognised experts in Asset Management & Accounting whilst at Devonport City Council has proved invaluable. Graeme enjoys working with and mentoring people and expects to achieve the goal of local people managing their affairs successfully. Motorcycling, flying, fishing and farming are some of his main interests. Edward Sailor, affectionately known as Eddie is a proud Aboriginal, on his Mother’s Side (Bwgcolman-Waanyi), and Torres Strait Islander (Erubian and Meriam), on his Father’s side. Eddie is unique in being socially, affectionately, culturally and professionally known throughout the NPA, Torres Shire and Torres Strait Island communities by having being educated, socialised and worked in various capacities from trochus diver, pearl farm worker etc to senior executive positions within Far North Queenslands remote and very remote communities for most of his life. Eddie comes to our NPARC with a wealth of experience earnt in Management & Snr Management roles in Aboriginal, Islander, Local and State Government within the Torres Strait Islands Regional Council (TSIRC) Far North Queensland, Macdonnell Regional Council (MRC) Northern Territory and the Torres Shire Council, Far North Queensland. 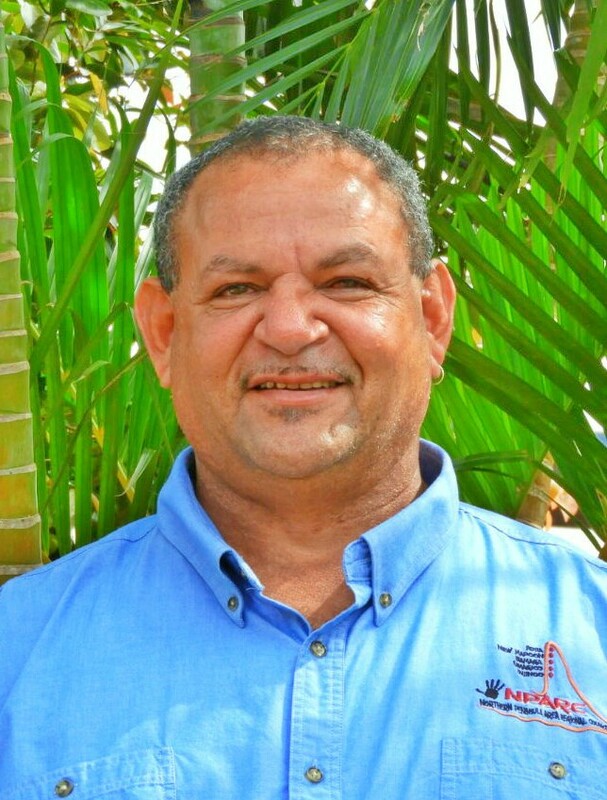 To name a few academic achievements, Eddie holds a Graduate Diploma in Management and Administration (GDMA), Diploma in Leadership & Management, is a qualified Trainer and Assessor and is a fully qualified NAATI – Paraprofessional Translator and Interpreter – Aboriginal & Torres Strait Islander Creole/Youmpla Tok. 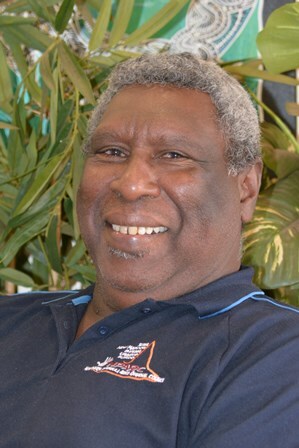 Eddie has lived and worked within remote and very remote communities for most his professional life, such as Thursday Island (Qld), Erub (Darnley) Island (Qld), Alice Springs (NT), Kintore Community (NT), Finke Community (NT), to name a few. Eddie’s passion is to inspire ‘Grass-Roots’ innovative expression to flow into structurally tailored services within NPARC communities. Eddie is very committed to work with NPARC personnel, traditional owners, community members and stakeholders to strive towards providing NPARCs constituents, customers and visitors’ quality & appropriately accepted service, with admirable excellence.